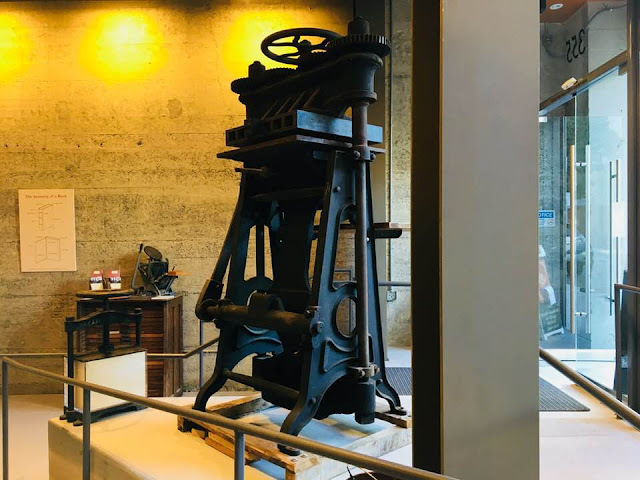 Last weekend, my husband and I had fun visiting the American Bookbinders Museum in downtown San Francisco, California for the first time. 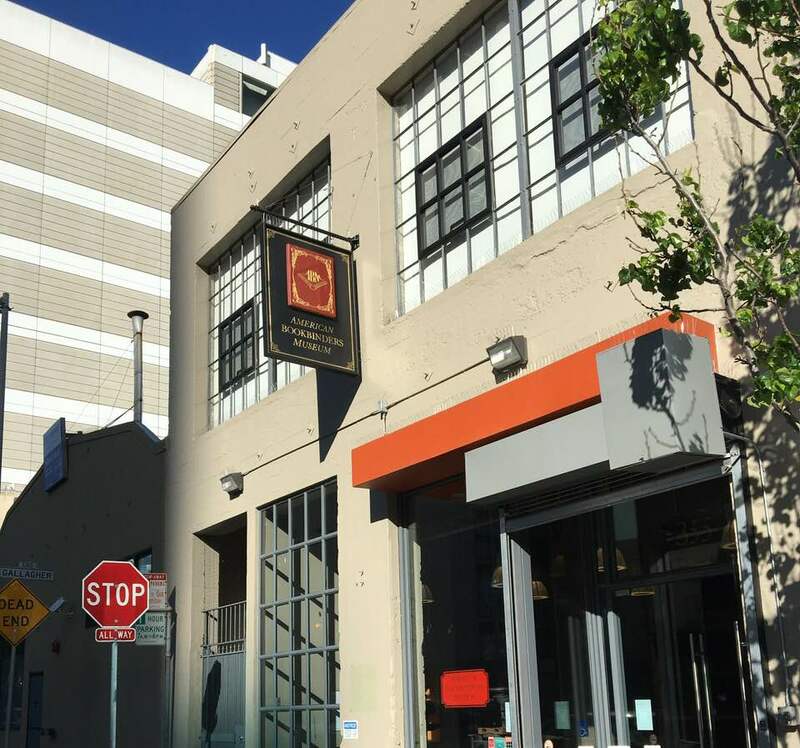 We attended a literary event at the American Bookbinders Museum titled SF In SF. We had a blast during our time at the American Bookbinders Museum and spent roughly three hours there. We enjoyed walking through the museum looking at the current exhibit, but we look forward to returning for a guided tour of the museum in the future. The bulk of our time was spent enjoying the festivities of the event we came to attend while at the American Bookbinders Museum. The American Bookbinders Museum is the only museum of its kind in North America, celebrating and exploring the culture and tools of bookbinders and bookbinding from its earliest forms through the changes and innovations of the industrial revolution. Below are a few pictures taken while at the American Bookbinders Museum. Entrance to the American Bookbinders Museum. 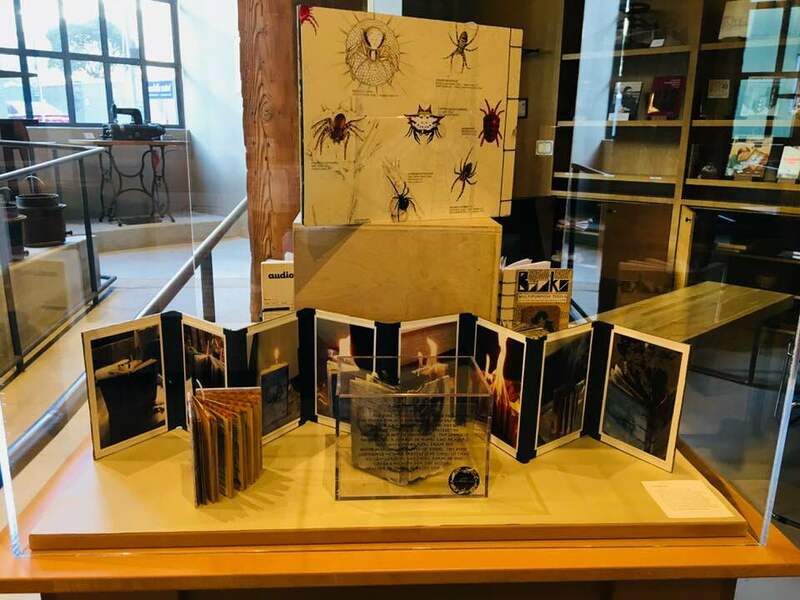 One of the current displays at the American Bookbinders Museum. 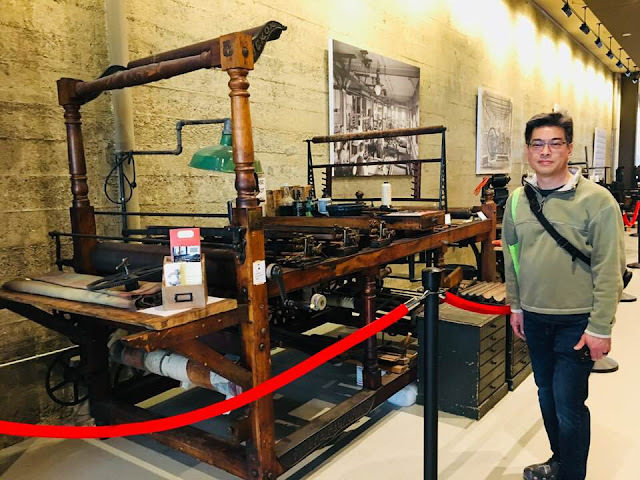 My husband standing near another piece of bookbinding equipment at the American Bookbinders Museum. For those interested in knowing more about bookbinding, then I recommend visiting the American Bookbinders Museum. I want to visit this place the next time I go to San Francisco, for sure. It's a very small, but lovely museum. I highly recommend visiting it! Have you visited the San Francisco Center For the Book?? It's also worth the visit as well. They offer exciting rotating exhibits throughout the year and amazing workshops on bookbinding, printing, calligraphy, etc. It's a small but lovely museum and worth the visit! !